In all likelihood you started your small business because you have a passion for what you do. And, quite possibly you could be considered an expert. That however, does not mean that you are an expert in technology, websites, hosting services, or domain names. Luckily you don’t have to be. But, you do need to know a few things to avoid some major pitfalls, like losing your domain name. Believe me it does happen. With a little knowledge, some organization, and help from experts like us, you can go happily about your business while we at Resource Connection watch out for your online interests. Simply put, it’s nothing more than an easily memorable name given to represent a set of numbers (IP Address, ex. 111.222.33.44) which correspond to a specific location on a web server. Think of it like the Contacts function in your phone. In order to call Sally Jones you only need to find her name in your contacts, you don’t have to remember her phone number. Domain name vs. URL (Uniform Resource Locator) – you just need to use the actual domain name to find a website, but every site has a full URL. URL’s consist of several parts. See the graphic below that breaks down what each part means. Domain registration vs. web hosting – Domain names may be registered ONLY through companies who are accredited by ICANN (Internet Corporation for Assigned Names and Numbers) to organize and track what names are registered by which individuals or companies. You do not OWN a domain, you simply pay to use it. Some of these companies also offer web hosting, but many do not. Additionally many web hosting companies (GoDaddy, BlueHost, HostGator, etc.) partner with domain registration companies to make it easier to combine the domain registration process with a purchase of web hosting services. But, the two are entirely separate things. If you register a domain name through a web hosting service you will probably receive information about the registration via the third-party company. What is web hosting? – Web hosting means that you have contracted to use a set amount and type of space on a web server. That space is where the files that comprise your website are stored and served . 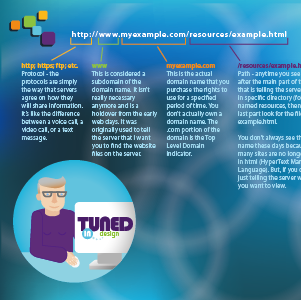 Whenever someone enters your domain name in a browser or finds your site via a web search the server sends your content to their browser (see our post on How Web Browsers work at TunedInDesign). 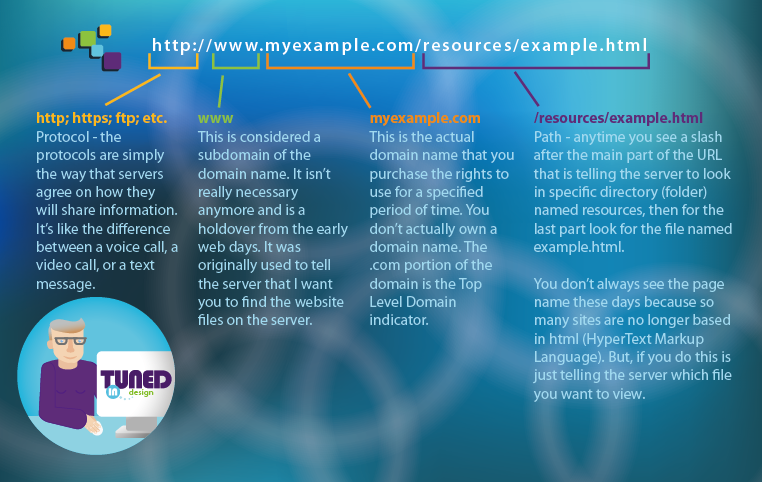 Registering a domain name does not automatically include web hosting. It must be purchased as a separate item. DO use an email address for registration that you intend to keep forever. If you use an address that you later stop using, you won’t see the the renewal notices. I’ve had more than one client lose their domain name because of this. DO set up auto-renewal. It makes it much easier to keep your domain active. But you do need to remember that it means a charge to your credit card when your renewal becomes due. Registrars will send you an email notification when the renewal is coming up and you can access your account to make changes if necessary. DO select Privacy Protection. It’s worth any additional cost, since this will prevent your personal information from being publicly available to anyone who knows how to look up domain registrations using a WhoIs service. DO register your domain for the maximum length of time offered. It keeps your domain in your possession and means you won’t have to renew it as often. Plus, most registrars offers discounts for longer registration periods. DO keep the records of the registration in a safe place. You will receive 1-3 emails after the registration with details about the transaction. Save these in a folder in your email program and make sure that your email messages are backed up regularly. 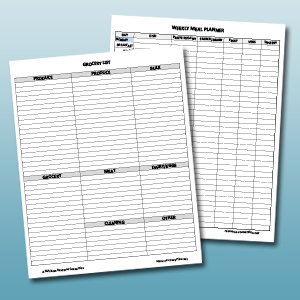 I also recommend printing out a copy of each message, recording your account information (account #, username, and password) on one of the sheets and saving it in your business files. A hardcopy is good to have should your computer ever crash and destroy your files. If this information is forgotten or lost it makes it almost impossible to do anything when the domain renewal expires or if you want to move to a new hosting service. The DNS setting for domains are configured at the registrar and if you cannot get in to change the settings you cannot move the site. DON’T let someone else register your domain in their name. I cannot tell you how many times I have had clients end up in legal battles, or lose their domain, because it was registered by a previous developer who has now disappeared, or hijacked their site. It’s not that hard to do the registration yourself and it protects your business interests. These technical details can be intimidating, but it’s really just a matter of a little self-education to be able to handle them with ease. I usually walk my clients through the process step-by-step while I direct them. That way they feel ownership and begin to learn that they can manage technical issues. A little bit of assistance makes it much easier. There is a lot of jargon and foreign sounding acronyms that fly around in technical discussions, and it is easy to feel lost. Please feel free to contact me with any questions you may have about domains, web hosting, or other concerns. I’ll be happy to visit with you at no cost to make sure that your business stays safely online. Like most folks I stay pretty busy all the time. And, my memory isn’t all that great for keeping track of everything I need to do for my multiple projects, home, family, travel, etc. I was using my computer’s calendar to try and keep track of things but the task management wasn’t very good. I’ve tried lots of different options over the years and have found that I prefer tools that are really simple and without too many features to get bogged down in. Plus, I mostly work alone so I don’t really need anything for team management. I tried using a really simple online tool that was essentially just an outline list but it wasn’t integrated with my calendar. I want to be able to look in one place for my schedule and what needs to happen for the day. 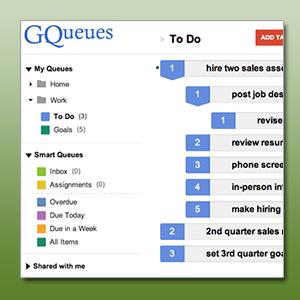 So, I started looking around for a new option and found a really great one – GQueues! It has exactly what I need, plus it has a few things that make it good for those who need to share and collaborate on tasks. It has a free version that you can use forever if you don’t need the additional functionalities that come with the $25/year version. Like most everyone else our lives are super busy and it takes a lot of effort just to manage the day-to-day details – like meal planning and grocery shopping. I often think of things I need to add to my shopping list when I’m busy around the house and many times I forget to write them down. So, I came up with a shopping list that I print out each Sunday and stick to the refrigerator so it’s ready when I need it. I organized it by type of food products so that when I go to the store it’s really easy to make sure I don’t have to backtrack because I missed one produce item that was buried in my list among the cleaning supplies. Another part of life that requires planning is our weekly menu. And, I can tell you this one was really my wife’s idea because she is a super-duper planner. She works hard to make sure that we eat healthfully and that our meal prep times fit into our schedule. She checks to see if one, or both of us, will be away from home on a weeknight and tries to set things up so that there are leftovers available, or a simple meal prep that night for the one who will be home cooking alone. It makes a huge difference in our stress levels and I’ve really learned to appreciate her planning skills. She gave me the parameters for this meal planning sheet and it has made life easier in so many ways. If you feel that these organizers would be useful for you please grab copies below and see how they work. I’m happy to share these tools to make life a little simpler.